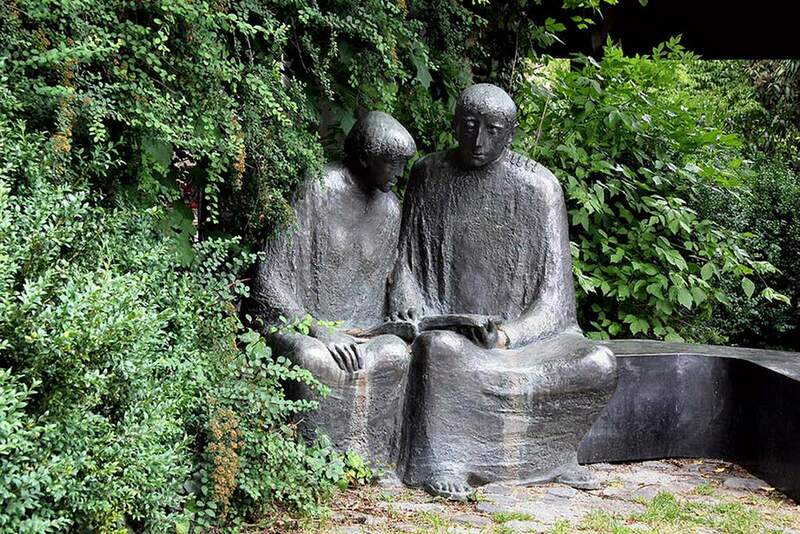 A sculpture of Meister Eckhart in Germany. Seven centuries ago, Eckhart embraced meditation and what is now called mindfulness. Who was Meister Eckhart?I have studied Meister Eckhart and his ideas of mysticism. The creative power that people address as “God,” he explained, is already present within each individual and is best understood as the very force that infuses all living things. Modern rediscovery of EckhartMeister Eckhart thereafter remained relatively little known until his rediscovery by German romantics in the 19th century. Among them, as Rohr notes, were the apostle Paul, the fifth-century theologian Augustine, and the 12th-century Benedictine abbess and composer Hildegard of Bingen. Understanding a new spiritual iconThe cautionary note, however, is in too simplistic an understanding of Eckhart’s message. Eckhart, for instance, did not preach an individualistic, isolated kind of personal enlightenment, nor did he reject as much of his own faith tradition as many modern "spiritual but not religious" are wont to do. This article is republished from The Conversation under a Creative Commons license. Read the original article here: https://bit.ly/2RgkXdy.